NATO's new chief military commander in Europe, Curtis Scaparrotti, vowed to continue his predecessor's policy of opposing Russia. In Moscow he is seen as an even bigger warmonger by some officials. 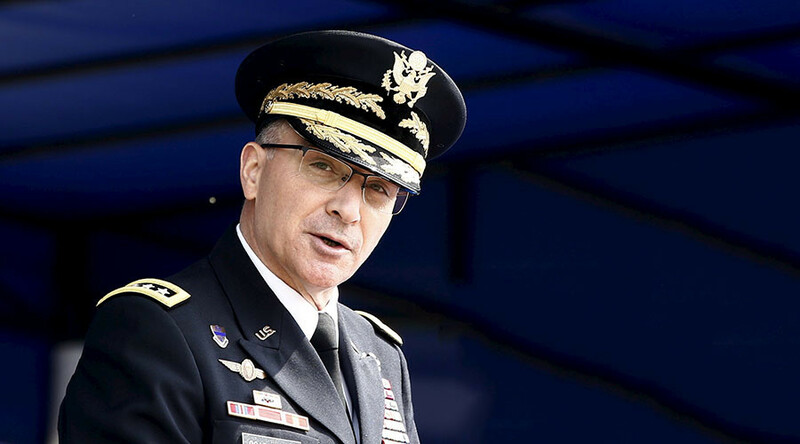 US Army General Scaparrotti assumed command of the NATO Allied Command Operations from Air Force General Philip M. Breedlove, who is retiring after a 39-year military career. Speaking at a ceremony at NATO's HQ in Brussels, Scaparrotti praised his predecessor's vision and leadership for the alliance. NATO is facing a "resurgent Russia striving to project itself as a world power," Scaparrotti said, as cited by the Pentagon. Other concerns for NATO are terrorism, as well as a refugee crisis "being driven by instability in North Africa and the Middle East," he said. "To address these challenges, we must continue to maintain and enhance our levels of readiness and our agility in the spirit of being able to fight tonight if deterrence fails," he said. During his NATO tenure, Breedlove was a vocal advocate of putting greater military pressure on Russia, which he called an “existential threat” for the West. At various points he called for reviving Cold War spy missions by U2 planes against Russia, suggested arming Ukraine, claiming that it was being invaded by Russian troops, and accused Moscow of “weaponizing” the inflow of refugees to Europe from the Middle East, among other controversial statements. Breedlove's rhetoric was welcomed in countries like Poland, the Baltic States and Ukraine, where anti-Russian sentiment is popular in nationalist circles. Ukrainian President Petro Poroshenko even awarded the retiring NATO general the country's highest order that can be awarded to a foreigner. But NATO military pronouncements reportedly stirred controversy among some European members of the alliance, including Germany, where the general's words were perceived as “dangerous propaganda” by some officials. Scaparrotti's pledge to continue Breedlove's policies was received with contempt in Moscow. “By stating that NATO should be 'able to fight tonight' with Russia the new chief commander of the alliance has surpassed his predecessor in warmongering,” said Aleksey Pushkov, the chair of the Russian parliamentary committee for foreign relations. Presidential spokesman Dmitry Peskov said Thursday that “a resurgent Russia” posed military threat to no country and that the alliance should better seek points of mutual interest with Russia, like fighting terrorism. “Russia certainly cannot ignore any action that can potentially threaten its national security. In this regard Russia will continue to defend its interests,” he added. 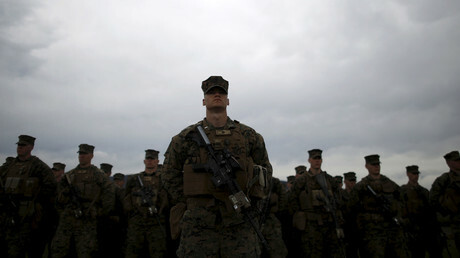 NATO is planning to deploy at least 4,000 additional troops on Russia's border, the Pentagon announced this week. Russia is responding by forming three new divisions in its west and south, each with some 10,000 troops.